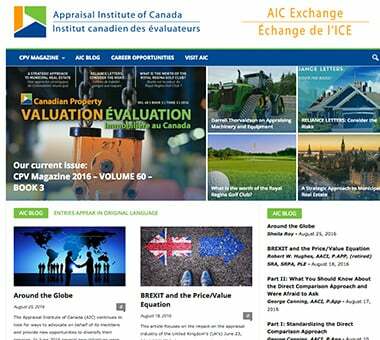 The Appraisal Institute of Canada (AIC) is Canada’s leading real property valuation association with over 5,400 members across the country and around the world. For the last 80 years, AIC has worked collaboratively with its 10 affiliated provincial associations to grant the distinguished Accredited Appraiser Canadian Institute (AACI™) and Canadian Residential Appraiser (CRA™) designations. To promote and support our Members in providing high-quality property advisory services for the benefit of clients, employers and the public. The Appraisal Institute of Canada and its Board of Directors are pleased to release this 3-year Strategic Plan as a road map to guide AIC for 2018 to 2020. The Plan reflects the realities of today’s marketplace, anticipates future pressures and clearly defines the areas where the Institute will focus attention in the next three years to ensure that AIC Members continue to be the appraisal professionals of choice in Canada. AIC’s Strategic Plan comprises several elements and we invite all members to read the document in its full version. One element of the plan — the Key Result Areas, summarizes the four main areas of focus over the next three years. 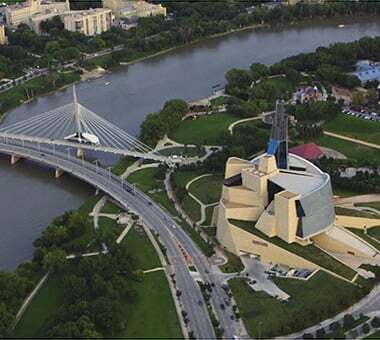 Since being founded in 1938 by a small group of loan inspectors from Winnipeg, the Appraisal Institute of Canada has been dedicated to advancing the real estate valuation profession for the benefit of both our members and the public. AIC’s Bylaws state our rules as approved by the Board of Directors, the AGM and Industry Canada, while our Consolidated Regulations define policies such as admission, education, experience and designations; the role and relationship between AIC and the provincial associations and affiliates; professional practice and the liability. AIC designations are highly respected and recognized worldwide. The Appraisal Institute of Canada offers several categories of AIC membership based on an individual’s career path or their current role within the appraisal profession in Canada. The AACI designation is granted to individuals who have completed the AACI program of studies and fulfilled all the professional requirements of the Appraisal Institute of Canada. AACI members are qualified to offer valuation and consulting services and expertise for all types of real property. The CRA designation is granted to individuals who have completed the CRA program of studies and fulfilled all the professional requirements of the Appraisal Institute of Canada. CRA members are qualified to offer valuation and consulting services and expertise for individual, undeveloped residential dwelling sites and dwellings containing not more than four self-contained family housing units. Candidate members of the Appraisal Institute of Canada (AIC) represent the future of the appraisal profession, individuals who are pursuing the rigorous AIC Program of Professional Studies and preparing to complete the final requirements for one of the Appraisal Institute of Canada’s prestigious professional designations. Admission to candidacy is open only to those who either hold a degree, or have 10 or fewer remaining requirements for the AACI, P. App designation (degree and AIC curriculum). To qualify for Candidate membership, you must be of legal age, and have successfully completed a recognized Foundations of Real Estate Appraisal course (UBC BUSI 330 or equivalent), as well as the AIC We Value Canada workshop (online only). Candidate members typically work actively in the profession as appraisers-in-training, within the limits defined by the Canadian Uniform Standards of Professional Appraisal Practice (CUSPAP), policies and regulations. Candidates participate in AIC’s Professional Liability Insurance program and can take on increasingly complex assignments as they gain expertise and knowledge, under the direction and mentorship of designated members. As full members of AIC, Candidates are accorded certain privileges including the right to prepare and take limited responsibility for appraisal reports under the supervision of a designated member. As non-designated members, all assignments they undertake, and how they identify themselves, must be in strict compliance with the Canadian Uniform Standards of Professional Appraisal Practice and the Institute’s Code of Ethics. Candidates must be insured for errors and omissions in accordance with AIC’s bylaws, and if they are signing appraisal reports or similar documents, they must be registered with a designated member in good standing of AIC who acts as co-signer for said reports. Failure to do so is a breach of the standards of professional practice and invalidates the insurance coverage on the reports. Candidates must be mentored either by the co-signer or another designated member in accordance with AIC’s mentoring policies. Candidates must participate in the Applied Experience Program, successfully complete a minimum of one university credit course per year, and complete all the requirements for designation with AIC within a ten-year period from date of becoming a Candidate member, failing which they will forfeit their Candidate status. Associate Membership is for those whose professional interests and pursuits are served by access to information, intelligence and networking opportunities offered by AIC. Typically, Associate Members are engaged in activities related to the valuation profession as employees of lending institutions, lawyers, insurers, real estate brokers or agents, accountants, individuals employed as faculty in post-secondary academic programs directly related to appraisal education, and others whose work interrelates with the appraisal profession. To download the associate member application, click here. Christopher Bisson – Value Connect Inc.
Mark S. Pawelek – Solidifi Inc.
Ted Rudyk – T.R. Consulting Inc. The first step on the path to achieving one of the professional designations granted by the Appraisal Institute of Canada (AIC) is enrollment in the Institute as a Student Member. When you become a student member of AIC, you gain access to a wealth of resources and benefits. Student membership was designed to assist you in planning a challenging career in a multidisciplinary profession where opportunities are limited only by your imagination and ambition. Student members of AIC may be individuals who are working in the real property sector and pursuing a course of studies leading to candidacy for one of AIC’s prestigious designations. In this capacity, they may perform a variety of technical support functions in the area of real property valuation and related work as employees. For example a student may be assigned tasks such as research and data collection under the supervision of a designated member of the Institute and as prescribed by the AIC’s Canadian Uniform Standards of Professional Appraisal Practice (CUSPAP). Student members may not inspect properties unsupervised. Working student members are most often employees of appraisal firms, lending institutions, real estate brokerages or agencies, and others whose work interrelates with the appraisal profession – government agencies, law firms, insurance companies, to name a few. The AIC distance learning program is designed to encourage student members to work full-time in a valuation or real property related position, while concurrently completing their AIC program of studies. AIC also welcomes student members who are enrolled in full time post-secondary programs who are considering entering the appraisal profession. This honorary designation is with distinction. It comes with the expectation that these honored and prominent individuals will play an important advisory role within the Institute and its committees, providing leadership and visibility that will assist in advancing our profession. These members may not use the AACI (Hon.) designation in connection with the provision of real property valuation and advisory services. Designated Members must adhere to AIC’s Canadian Uniform Standards of Professional Appraisal Practice (CUSPAP) and undertake on-going professional development. In return, they enjoy the full support of the Institute and access to services, resources and intelligence that enables them to practice their profession with confidence. 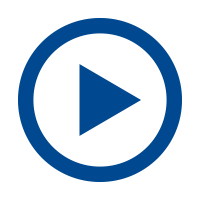 See a list of events near you.